Vio-lence was formed under the name Death Penalty in 1985. They quickly changed their name to Violence, and then the two-tiered logo with hyphen forced the name change to its permanent form. The original lineup was Jerry Birr on vocals, Phil Demmel and Troy Fua on guitars, Eddie Billy (brother of Testament's Chuck Billy) on bass, and Perry Strickland on drums. This lineup appeared on the Eastern Front (Live at Ruthies) 2LP compilation in 1985 with the song "Gutterslut". 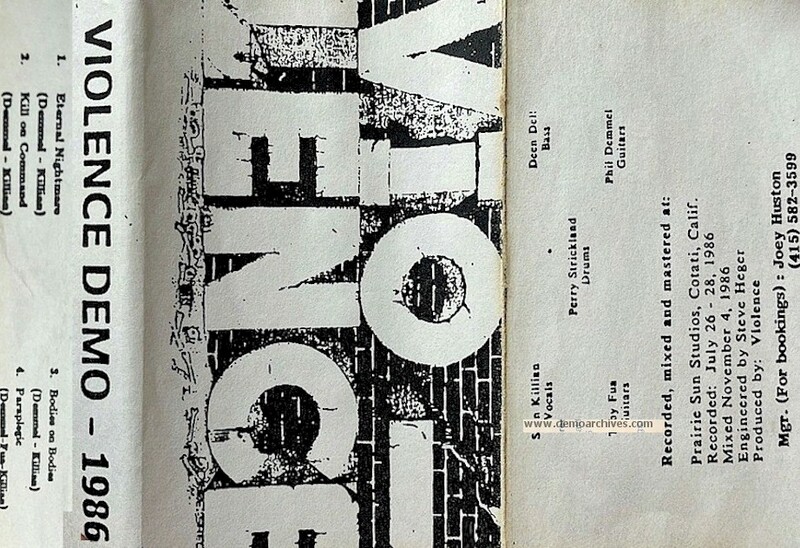 Eddie Billy left soon and was replaced by Dean Dell, and this lineup recorded a rehearsal tape that was released as a demo. Jerry Birr was replaced by Sean Killian on vocals, and the band recorded their first official demo, before Troy Fua left and was replaced by Forbidden Evil founding member Robb Flynn in early 1987.The band re-recorded all the songs on their first demo for a second one, in 1988, with minor lyrical changes, and new song titles, for their \"Mechanic Records demo\" in 1988. 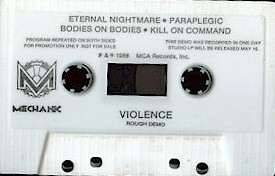 This label released their debut, Eternal Nightmare, later that year. Xeroxed covers and regular cassettes. Need more info. Pro printed covers and tapes. 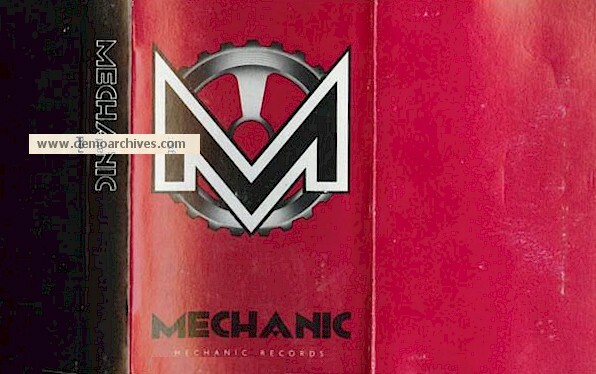 Vio-lence recorded this "rough demo" in one day, and Mechanic Records set up a massive promotional free demo giveaway through magazines, distributing around 3-4,000 copies.